After acquiring Jean Segura in a trade with the Seattle Mariners, the Phillies can’t offer Manny Machado a chance to play shortstop, his preferred position. Take it from Manny Machado’s longtime coach and baseball mentor. The Phillies' best — and possibly their only — chance to land the free-agent megastar might well be to bowl him over with billionaire owner John Middleton’s money. Bobby Dickerson has known Machado since the latter was 16 years old. As an instructor with the Baltimore Orioles, Dickerson played a pivotal role in turning Machado from a natural shortstop into a Gold Glove third baseman. And in a telephone conversation this week, Dickerson confirmed all the common presumptions about the 26-year-old, from his strong preference for playing shortstop to his relationship with Alex Rodriguez, and perhaps even his desire to follow A-Rod by signing a record-setting contract with the New York Yankees. And does Dickerson believe Machado would move to third base for the Phillies? So, how badly to the Phillies want Machado? Badly enough to outbid the Yankees with an offer in excess of $300 million? The answer will test Middleton’s recently stated intention to be “a little stupid” with his offseason spending. Dickerson, a free-agent coach after the Orioles dismissed manager Buck Showalter, is regarded as one of the game’s top infield instructors. He taught Machado to play third base on the fly at the double-A level in 2012. He strongly recommended to Showalter that Machado be called up to play the new position in the heat of a pennant race. He aided Machado’s return to shortstop this season. Their relationship goes beyond merely on-field tutoring. Dickerson grew to learn Machado’s personality and how to bring out the best in him. When Machado was 19, Dickerson got him to begin taking grounders at third base by challenging him. Like almost everyone else, though, Dickerson is watching with curiosity about which team Machado will choose and how much money he will receive. He said he hasn’t heard from Machado since before the end of the regular season. Machado is expected to make in-person visits to at least three teams, including both the Phillies and the Yankees, later this month. 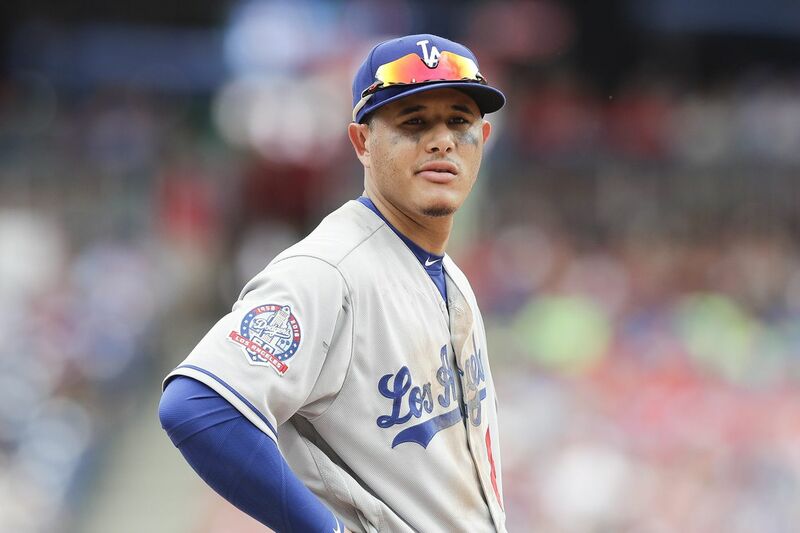 The Phillies have been eyeing Machado for more than a year and made an aggressive bid to trade for him during the all-star break. They are certain to make their most persuasive presentation when they host him at Citizens Bank Park. But after acquiring Jean Segura in a trade with the Seattle Mariners, the Phillies can’t offer Machado a chance to play shortstop. The Yankees can make such a commitment, at least until the second half of next season when shortstop Didi Gregorius returns from Tommy John surgery. Beyond that, they can entice him by pointing to Rodriguez, Machado’s childhood idol who moved from shortstop to third base after getting traded to the Yankees in 2004. If Machado really wants to be the next A-Rod, moving to third base in the Bronx would be an appropriate place to start. Dickerson watched Machado’s antics in the postseason — twice stepping on the toe of an opposing first baseman, multiple instances of not running hard out of the batter’s box, and memorably telling Fox Sports' Ken Rosenthal that he’s "not the type of player that’s going to be ‘Johnny Hustle’ " — and understood the negative backlash. For years, Dickerson said he tried to get Machado to understand that his legacy will be tied to public perception. “What I do at least respect about Manny is that he owned it,” Dickerson said. "He’s not going to be ‘Johnny Hustle,’ [but] he’s going to play 162 games and when he grounds out, he’s going to run three-quarters to first base. OK, that’s what you’re buying. And you’re buying the 40 doubles and the 40 homers. The Phillies are keenly aware of the talent. And they hardly seem to mind the baggage. Machado has been their top target for a while now. Over the next few weeks, it will become clear just how much they’re willing to pay for him.